The Galaxy Eagle 8 is one of the newest and most innovative concepts in floor sanding machine technology. The Eagle 8 is a 200mm ( 8″) combination machine that contains the standard belt sanding mode for rough or aggressive sanding or cutting plus a hard-plate sander for the finest finish. 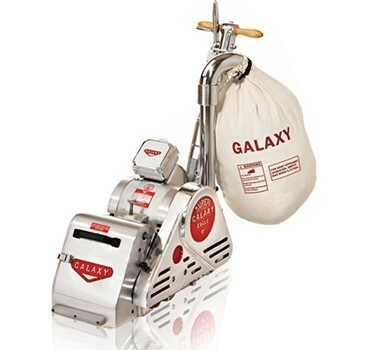 Realizing the need that many craftsmen had, Galaxy developed the Eagle 8 with the purpose of creating a floor sanding machine that would help to completely eliminate chatter marks or undercuts on any type of grain. The beauty of the Eagle 8 is that all you need to do to create the ultimate finish is simply slide in the hard-plate attachment, and install a longer sanding belt. In literally minutes you can change from belt mode to hard plate mode saving you both time and money. The Eagle 8 is the ultimate machine for multi-species inlays and all wood floors.